It is conference season and I my diary is suitably full of my selection of those that I believe merit attention. 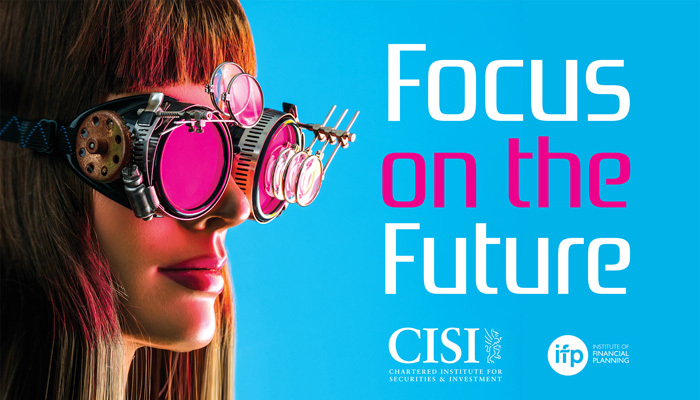 I’m not attending any of the political conferences and have recently returned from what might be best described as the Premier League of Financial Planners Conference – the annual CISI conference at Celtic Manor. Whilst being a non-political conference, clearly insight from the occasional politician or a former one can be valuable. Step forward Steve Webb, who was a LibDem MP and the Minister for Pensions in the Coalition Government, back in the day when politics offered some semblance of common sense. Whilst understandably providing various caveats to his talk, Mr Webb made clear that given the Queen’s Speech, the current Government have essentially given themselves a 2-year timeframe. He explained that due to the workings of Parliament, this means about 40 weeks in the year that is given over to Parliamentary work. However, 1 day a week is set aside for the Opposition to make their case and another is for MPs to actually work with their own constituents. Given the amount of time that Brexit will consume, there is precious little likelihood that anything significant will change, unless it is populist, garnering all-party support within the available 120 days a year. Aas tax legislation does not have to go via the House of Lords, unlike other acts (for approval or sense check) much can be altered quickly, even with a tiny majority. He made the point that it is precisely because tax legislation bypasses the House of Lords, that so much of it is so complex and poorly thought through. So that in mind, what could the Government possibly muck around with? The Annual Allowance – could be reduced further from the current £40,000, despite acknowledging the complexity of the Tapered Annual Allowance, he thought it more likely that this would be extended rather than abolished, perhaps bringing it in for those earning £100,000 rather than £150,000. Whilst the Lifetime Allowance has already been thrashed to £1m and is meant to now be linked to inflationary increases, he said that cutting it further is an option as “it passes the Daily Mail test – where people think a £1m pension fund is a lot”. He made the point that the Treasury appears to hate pensions (see all recent changes over the last 15 years) but love ISAs, for which they attempt to invent a new one almost each year now. Whilst he thought it unlikely, he also proposed that the Government could apply employers National Insurance contributions to their pension contributions, which would effectively end salary sacrifice arrangements. He also felt it improbable that the tax-free cash lump sum from pensions would end or be reduced, due to the complexity it would create for those that have had, are having or due to have it and rules are difficult to apply retrospectively. Without a single interruption from anyone handing in a P45 or the stage falling apart, the room of delegates was impressed with his delivery and rationale, but sanguine about the prospect of further pension meddling. Everyone I spoke with conceded that ISAs certainly seem to be the favoured investment vehicle for the Treasury as they only give up future tax revenue, rather than current tax revenues. However, reliance on any future Government to maintain promises about ISAs seems probably unwise. The Government has made it very clear that tax evasion (not paying due taxes) is illegal and will be prosecuted. Whilst we may all have an opinion about the fairness of the law, failing to pay taxes invariably carries with it the real prospect of prison. Richard Fuller found this to the cost of his liberty. As a landlord with various properties he failed to properly declare and pay the capital gains tax that was due on those he sold between 2006 and 2013. As a result, he evaded £157,725 of capital gains tax. As of last Friday, he has now begun a 27-month prison sentence and of course assets are being taken to pay the correct tax. Whilst there will always be people that do well from property investments, the reality is that property is not very liquid. There are also many forgotten or hidden costs – such as purchase and sale costs, insurance, lost rent, improvements, accountancy costs and of course tax on the gains. It is never worth evading tax. It is illegal and anyone doing so will still find plenty of room at her Majesty’s prison service, despite reports of overcrowding. Mr Fuller was found guilty of cheating the public revenue and fraud by false representation by a jury at Winchester Crown Court. “Fuller thought he was above the law and decided not to declare or pay the tax due from the sale of some of his property portfolio. It is simply not acceptable to steal from UK taxpayers. In short, don’t mess with HMRC. It is never worth it. Tax evasion is illegal, tax avoidance (which is using legitimate arrangements within the tax laws – such as ISAs, pensions etc) is something that the Government encourage to help reduce reliance upon the State and invest in the UK economy. In an ever connected world, it should come as no surprise that HMRC are using technology to catch those that do not properly declare their income. In essence they are watching you (and me). I am informed that a new “snooper computer” is being rolled out this month, in time for those that are submitting information about their income for 2015/16. Whilst Government departments have rarely bought or invested wisely in computers (I guess suppliers see them coming… in fact I know they do)… this represents a £100m project. Why is this important? well…. failing to accurately report and pay your taxes is one of those crimes for which you can expect a custodial sentence. Indeed HMRC powers have increased so much over the last 10 years that they can take money from your bank account until you can demonstrate that you don’t owe it to them (I kid you not). Under self-assessment we are all responsible for reporting and declaring our income. As everyone has observed, the UK, like most countries, has rather a lot of debt and is currently living beyond its means. The basic reality of maths is that either more income (taxes) has to be generated or less has to be spent and debts renegotiated. So as 31st January 2017 looms as the deadline for declaring and paying income from the 2015/16 tax year (ended April 5th 2016) expect little sympathy from the Government, HMRC or indeed most voters. The new computer system is a way for HMRC to focus attention on those that appear to declare modest income, whilst also having involvement with organisations where money is clearly involved. So if you’ve bought a house (as I did in 2016) then you had to pay stamp duty… where did this come from? (data triggered from the Land Registry) or you are fairly active on e-bay, do some Airbnb, or rent a property, perhaps sold some things at a car boot sale, or have a Paypal account, bought a car… and, and, and… in short they are looking proactively for various sources of income that you are not declaring. 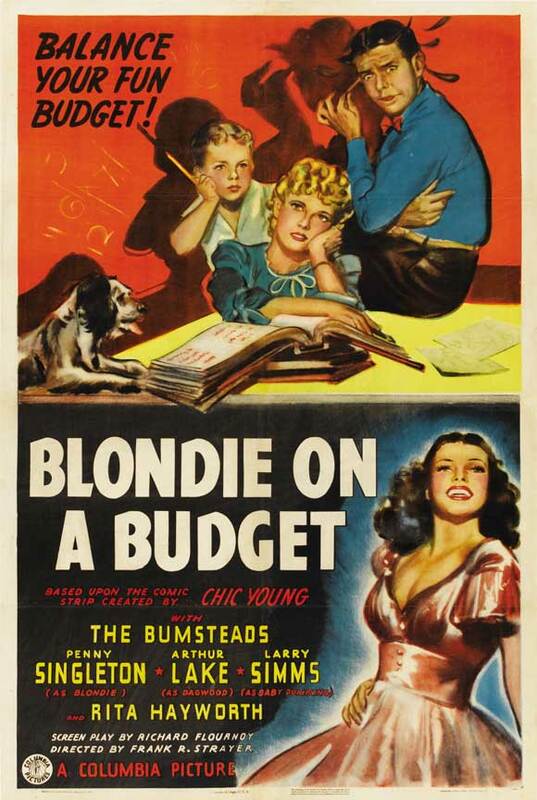 So what income have you forgotten about? Income is paid on dividends from shares, invariably these are taxed at 10% automatically, but higher rate taxpayers will need to pay more. Have you declared all the income from those privatisation shares you’ve had for years? how about from non-ISA accounts? Auto enrolment (or workplace pensions) has begun for most firms, so this is yet another opportunity to see data about income. Interest from savings (don’t laugh!) is also income and taxable – except for the first £1,000 – which means most people will not pay tax on it. For what its worth, you are likely to be the sort of person that is worried about not paying your tax properly. The threat or fear of possibly going to prison is more than sufficient to keep most people “on the straight and narrow” yet there will be some, for whom prison is no real “threat” – frankly that’s probably the very rich, who can afford to live outside of the country and legally avoid UK laws… such as top sportstars, business people that you’ve actually heard of or those that are the beneficiaries of mega Trust Funds (so dont own the assets – the Trust does) such as the Duke of Westminster. Perhaps I’m being a little cynical, but doubt that my remark is far off the mark. Of course our app (which is free to download) has a load of calculators and tools, loads of tax tables and useful information which is designed to help you to not forget to report your income properly. 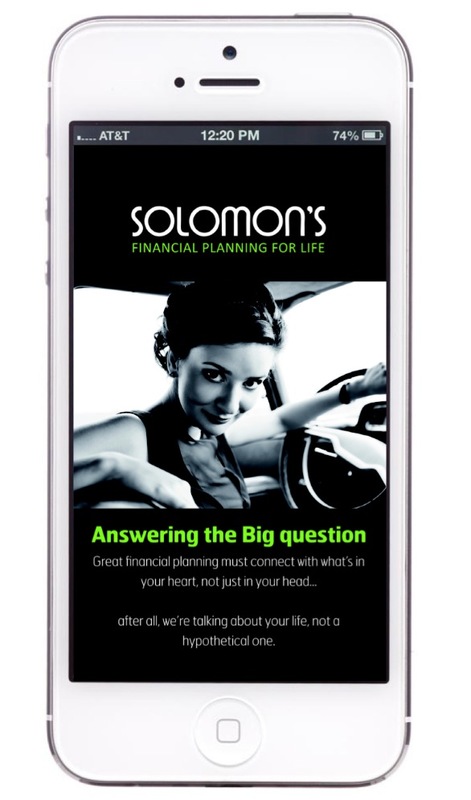 You can get it on either the Android or itunes platforms, just search for Solomons Financial Planning. Abolish the Lifetime Allowance, which is currently £1m – if you hold more than this in pensions and you haven’t already “protected it” you will suffer an excess charge. Utterly pointless and discourages people from saving for their financial independence. This would also imply scrapping all previous protections. Abolish Taper Relief – the new rule that has caused a raft of problems for those earning over £150,000 who can end up able to pay less into a pension (and still may suffer a penalty) than can be invested into an ISA. Utter lunacy, creating enormous headache for some. Abolish Higher Rate Tax Relief – not what you might expect me to say and on the caveat that the two previous points are met. This saves the UK considerable sums, yet continues to offer an incentive to save for a pension. Abolish Tapered Personal Allowance – either everyone gets one or nobody gets one. At the moment if you earn over £100,000 your personal allowance reduces by 50p for every £1 over £100,000. Scrap the new Main Residence IHT allowance – just give everyone an allowance of £500,000 and have done with it. What former Chancellor George Osborne created is a shambles of smoke and mirrors. Re-establish the different systems for Final Salary (Defined Benefits) pension schemes without any annual allowance, restricting total contributions to any pension to a fixed % of income by the employee (it used to be 15%). Vast sums and energy is used by departments in the NHS, Teachers, Local Government etc all creating utterly pointless, time sucking reports about the Annual Allowance and Lifetime Allowance. This is completely unnecessary. Abolish LISA – another attempt to hit pensions with the high exit charges and daft array of decisions. Scrap this and other utterly pointless versions of an ISA. Have the single ISA allowance of £20,000 invest it however you like. Stamp Duty – introduced to calm the property market which is now largely locked up with anxiety about Brexit etc. Huge tax take by Government and feels like a mugging. This needs reduced dramatically. Earn it and tax it here. If you or your business generate income here in the UK it should be taxed at UK Corporation tax rates. Take note Google, Starbucks and Mr Green (et al). So all that nonsense for cross transfer pricing must end. Genuinely Seeking Transparency and Tax Simplification? Have three rates of personal tax 0%, 20%, 40%. Whatever the source (dividends, capital gains, income etc). Huge sums are wasted on preparing numbers for a system that is designed to confuse. People break the rules deliberately or without knowing. Businesses pay corporation tax, this could be the same rates, with different allowances as personal taxation… this might mean busineses would use their revenue to reduce profits, either through inward innovative investments, expenses, employing people or redistributing to shareholders. More innovation creates more value, wealth, jobs….more tax take. If you are retired and have an income in excess of say £100,000 you forefeit your State Pension. You also forfeit free travel on public services and also the Winter fuel allowance…. come on, if you have a £100,000 income and don’t work any more, you aren’t going to need it or miss it and a relatively small number of retired people have £100,000 pension.. but really if you are a celeb you can give up your State pension and bus pass. 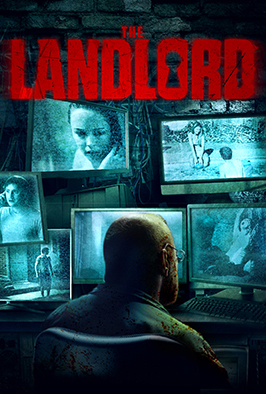 Being a landlord is just like being a business. You have power over where people live. Some vetting is clearly needed (obviously not all landlords are bad). Landlords should have to apply to be a landlord license and register properties and all those living in them. Property has to be inspected every 3 years to ensure it is suitable for real people to live in. The new rules introduced about CGT, Stamp Duty and interest relief need reviewing, fair rents and fair offsets. Our APP will be updated by the end of the day with all the relevant changes. 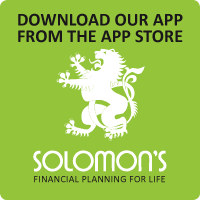 It is FREE to have simply search for Solomons Financial Planning on either APP platform. 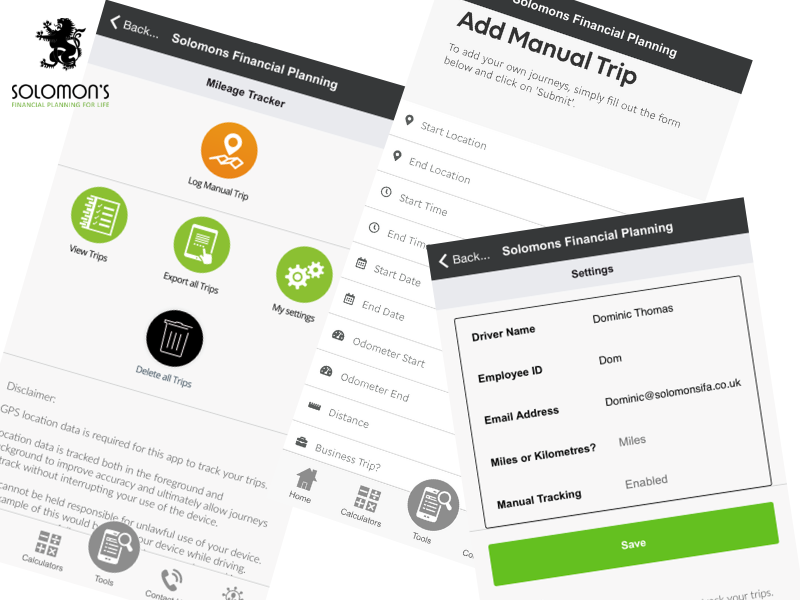 There are loads of free tools and calculators to try out including an expenses tracker. I imagine that you will have picked up on the current big story – the Panama Papers. I imagine that this will rumble on for some time. There are lots of issues to discuss, the ability for the very wealthy to hide their wealth, those that facilitate this to happen, laws about secrecy, laws about laws, political corruption, money laundering, what is ethical, the difference between tax avoidance and tax evasion… not to mention data security. I don’t know if my thoughts will add much to the discussion, suffice to say that “the system” (by which I mean global tax system) is so complicated that it is little wonder that it is exploited, or some may say “used to advantage”. It is a sad state of affairs when the wealthy believe that they require such secrecy and the better questions will ask why it is really required. As for the tax system – nobody really likes paying tax, but of course if we want any sort of welfare state or viable social system, we need to combine resources collectively. I don’t know if the debate can be reduced to a matter of “vast wasted taxes spent by bureaucrats” or perhaps “we pay too much tax”. Fairness is very difficult to define. The vast majority of people in the UK pay very little in direct taxes. The reality is that we are all, quite obviously, interconnected. Billionaires paying less tax than their staff simply does not seem fair in any form. I’m reminded of a line from “The Black List” in which the main character, Raymond Reddington, says “if I paid any tax I’d be furious at how it is wasted” or words to that effect. Tax is one of those deeply divisive issues and of course is enmeshed with political ideology. Part of my job is to help clients minimise tax payments and use tax allowances properly. So I’m acutely aware that I’m part of the problem… essentially taking tax receipts off the table, so that more needs to be found. Nobody likes to see public money wasted, which merely compounds feelings of frustration. The Panama papers imply that those in charge of deciding how public finances are spent, don’t like the way they do it for their own nations. Does life have to be so complicated? If there was one rate of tax, would there be any need to hide money? (currently taxed at very different rates). If the very rich could declare their wealth properly, would more tax be collected? Is anyone immune from financial corruption as the numbers get larger and larger? Does the reality that the Offshore market exists confirm the suggestion that the very rich would leave, if tax rates are increased? Or have they effectively already left? Is it possible to have fair taxes when certain countries exist purely to defy such reasoning (Monaco). 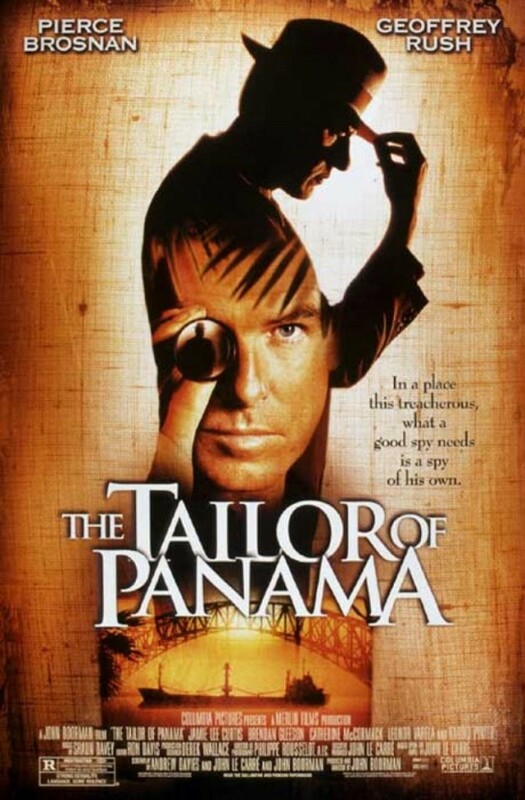 Certainly rather more is to be revealed by the #PanamaPapers and one thing that is certain to me…. this is not new news. There’s nothing like the Budget to divide people along political lines, I shall refrain from making political statements. All Chancellors perform a merry dance taking from one pocket to give to another, the current Chancellor is no exception (indeed there are none). The stand out issues are that there has been no attack on pension tax relief, as leaked following leaked rumours that it would be. However a new Lifetime ISA looks a lot like a pension – with an effective tax relief of 20% but maintaining the ability to access the money before retirement (before 55). This is much like Individual Retirement Accounts in the US and something that many have called for over the years. The problem is simply that a pension has the advantage of being a long-term lock away pot, there for your retirement. Enabling people to access funds earlier is designed to help homebuyers. On the surface this is a good thing, in practice access to money does not deal with the problem of over-priced housing, if anything it is likely to make things worse (think about it). That said the ISA allowance is going to rise to £20,000 – which is good news for investors seeking tax-free growth. If I were a cynic I might suggest that these two issues are connected – the prospect of a lifetime allowance for ISAs could be introduced for all. So reading between the lines, the direction of travel seems to be to have 20% tax relief, accessible funds, but restrictions on the value of the pot…. we shall see in the fullness of time. The Chancellor also appears to have tidied up some of the older tax rules about inherited pensions. When somone dies before 75 with a pension in drawdown, there is no tax to pay by the beneficiaries, after 75 the proceeds are taxed at the recipients marginal rate of tax (which could be 0% or up to 45%). The Money Advice Service (funded by levies on financial advisers and pension companies) is to be scrapped, it isn’t working and the name itself is misleading (it’s not advice, but information). I along with many others was peeved about the advertising which suggested a return to the lie that financial advice is free – it never has been and never will be. Given that this was paid for by levy, it felt rather like the biting the hand that feeds. In any event, go-faster stripe paint at the ready… there will be changes (hmm… plenty of opportunity to get some consultants in to test new names, design a logo that will inevitably be less than satisfactory). The rate of tax payable on capital gains is to be reduced to 10% and 20% (from 18% and 28%) and further suggests a more streamlined approach to taxation, where income taxes and other taxes seem to be at similar rates. I would welcome this as it moves towards a more genuine tax simplification and reduces the number of tax rates, making life easier for planning effectively. The new CGT rates come into effect from 6th April 2016… which will help those lucky enough to nurse some investment gains of late. The personal allowance is increasing to £11,000 from 6th April and to £11,500 from 6th April 2017. The amount of income you can earn before the 40% tax rate begins has also been raised. This will not help anyone earning more than £100,000 at which point the personal allowance begins to reduce by £1 for every £2 of income over £100,000. Corporation tax is due to fall further, this is a tax tool designed to help encourage enterprise and I think we all welcome actions to stop businesses legally evading tax through transfer pricing etc – the Starbucks or Google loophole looks like one that may be closing…. we shall see. Small businesses also look set to benefit from rates being cut – which of course is very welcome, its a very odd tax. Business owners do not get to vote for their local authority unlike council taxpayers and many find the costs punitive. Most will be receiving demands this month for the next year and be very pleased at the prospect of a reduction in 12 months time (if I have correctly understood when it will be introduced). All the changes will hopefully be updated on our APP by the end of the evening. Do let me know how you are getting on with the APP – its full of useful calculators and tools… but only if you use them. Its free to download and use – so do tell others. Don’t forget it works on iphone, ipad and Android. Clients will shortly be receiving a hard copy of Talking Money. 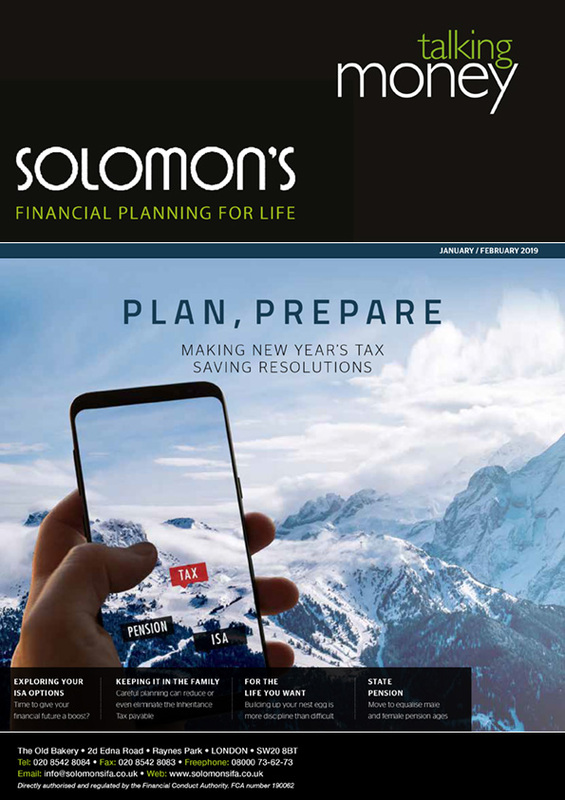 In it we highlight the inevitable end of tax year issues that need consideration – or at least some of them. 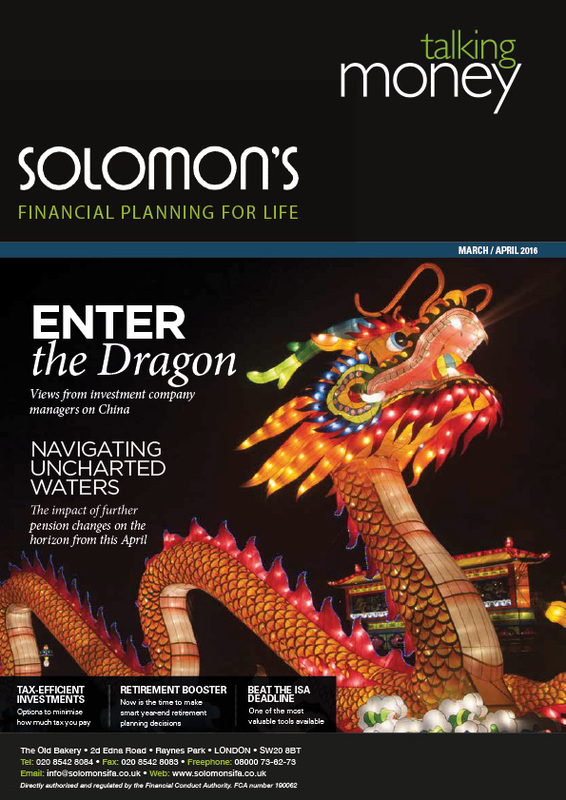 We also have a feature on China “Enter the Dragon” in which five fund managers provide some thoughts about the state of the Chinese market each has a point to make. We also outline a few of the changes to the State Pension – where for once the highly complex is actually becoming more simplified, this is truly a rarity when it comes to pensions. There is also a very small note in the news section which points to some of the problems of not using an adviser. In January the FCA produced some market data in an attempt to understand the impact of the new pension freedoms (introduced from April 2015). The figures show that one in five people who encashed a pension pot of £250,000 or more took no advice. This is alarming because they would have automatically paid tax of 45% on the pension (as income above £150,000 is taxed at 45%). Huge sums of tax have been needlessly paid, reducing the value of a pension fund far more than the credit crunch – which at least has recovered somewhat. Some speculate that this was and is the only real reason for allowing pension freedoms – to collect far more tax. Perhaps the Budget on 16th March will provide further insight into this position. Similarly, only yesterday I met with someone who had not protected his Lifetime Allowance, which will result in a large tax liability. Taking advice does have a cost, but so does not taking advice, however taking advice also has a value, not doing so does not. 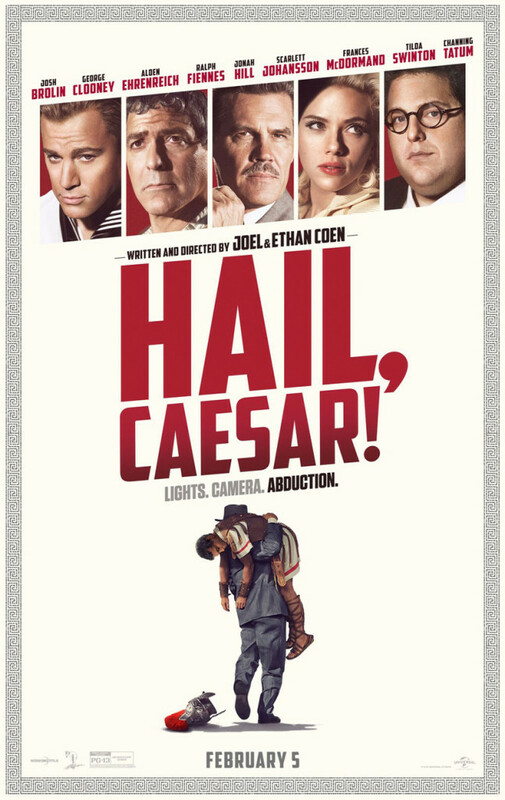 There’s a new film “Hail Caesar” by the Coen brothers. A line which I keep finding myself repeating is spoken by Laurence Lorenz, a character played by Ralph Fiennes. He is trying to coach a stuntman with his acting – repeating the line “would that it were so simple”. It’s a funny scene, which I won’t spoil for you, but it is a phrase that I find appropriate with great regularity. In a matter of weekends between broadsheets, the Chancellor appears to have done a U-Turn on changes to pensions. Of course had we not had all the speculation, leaks and reactions we would have been “none the wiser” of his apparent “flexibility is a strength”. The truth is of course that we will not know what is in the Budget on 16th March until, well… 16th March and as they say a week in politics is a long time. The Chancellor is determined to control State spending and this has created a significant amount of ire and assessment in the media – as well as around dining tables in homes throughout the country. Whatever you think of Mr Osborne, as with all Chancellors, pain is delivered as discipline, where possible made to appear as a progressive change. Most of the time, there is little more being done than a reshuffling of the cards, hoping that this time, the hand will be sufficient to take home the equivalent of the jackpot. The truth is that running the finances for the UK is not an easy task (and I am not attempting to make excuses for him). Tax revenues are based on assumptions about the future, costs are too – but there is inevitably the odd “unforeseen event” such as a plague, war or famine… which in practice aren’t really that unforeseen, because they occur regularly. Nobody is really going to be pleased much of the time, whatever politicians tell us, we know that they have ambitions based on a concept that 4 years is the long-term, which is, as we all know, full of flaws. Would that it were so simple. As for Hail Caesar – it is a film for our time about a film about another time, but the eternal golden rule – he that has the gold makes the rules.